At the same time, security is high on the agenda and the built environment has a key role to play in preventing crime and keeping people safe. 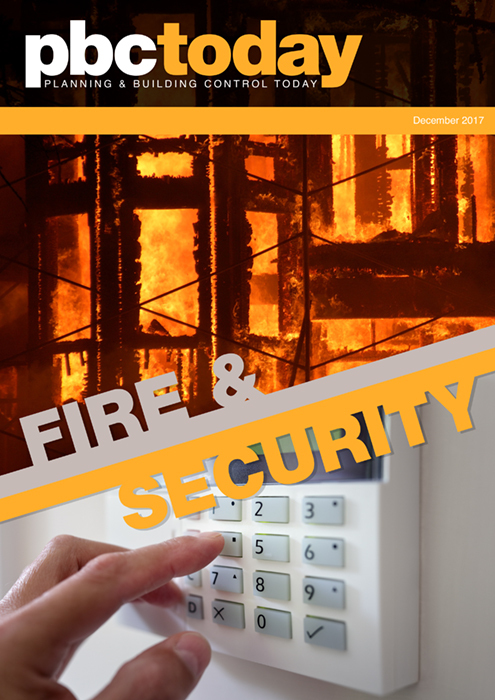 This ebook examines several aspects of fire safety and security, including the growing need to more closely integrate the two. In an exclusive interview, Martin Conlon of the Building Control Alliance discusses the difficult questions arising from Grenfell as the public inquiry into the disaster moves forward. In addition, Jon Cole, chief operating officer of Secured by Design, discusses the organisation’s work with industry and standards bodies to reconcile Part B and Part Q of the Building Regulations covering fire safety and security respectively. He also talks about SBD’s National Building Approval scheme, which aims to simplify Part Q compliance by ensuring the physical security aspects of developments are agreed before any work takes place, as well as SBD’s move towards dual certification in the wake of Grenfell to require that manufacturers’ products meet exacting specifications for both fire safety and security. Elsewhere, Keith MacGillivray, chief executive of the British Automatic Sprinkler Association, looks at calls to retrofit sprinkler systems in tower blocks – and cautions against a rush to install measures that may not comply with British Standards. With much more besides, this ebook offers a valuable insight into two key areas for everyone involved in designing, building and maintaining the built environment.